BOSTON—The collected papers of Dr. Andrew F. Brimmer (1926-2012), the prominent economist, monetary policy expert, Federal Reserve governor, professor, advisor, and consultant, are now part of the permanent Special Collections at Harvard Business School’s Baker Library. A gift of Brimmer’s wife, Ms. Doris M.S. Brimmer, and their daughter, Dr. Esther Brimmer, this extensive collection of materials, comprising 275 linear feet (528 boxes), becomes available today for scholarly research. In addition, several items from the collected papers are now part of the exhibit in the north foyer of Baker Library celebrating Black History Month and the 50th anniversary of the formation of the African American Student Union (AASU), a student club at Harvard Business School. 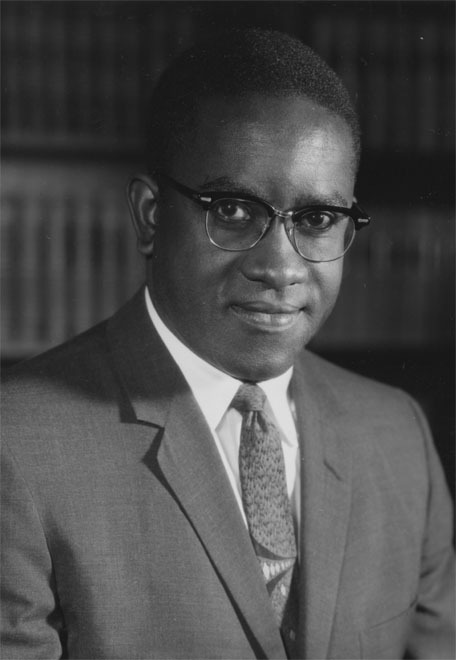 Brimmer was the first African American member of the Federal Reserve’s Board of Governors. The Brimmer Collection includes subject files, correspondence, research files, teaching records and files, writings, speeches, presentations, rough drafts, newspaper clippings, photographs, digital content, and audiovisual materials. It is arranged to reflect and document the phases of Brimmer’s life, first as an academic, then his transition to practicing economist in the US government, and finally as an economic consultant. Born in Newellton, Louisiana, on Sept. 13, 1926, Brimmer joined the US Army after graduating from high school. Upon completing his tour of duty, he took advantage of the GI Bill to earn a bachelor’s degree from the University of Washington in 1950 and a master’s a year later, both in economics. Awarded a Fulbright Scholarship, he studied at the Delhi School of Economics at Delhi University and at the University of Bombay from 1951 to 1952. Returning to the United States, Brimmer enrolled in the PhD program in economics at Harvard University. During that time, he was a research assistant on the India Project at the Center for International Studies at MIT, investigating the economic development of industrializing countries. He also served as a teaching fellow in the Harvard Economics Department, focusing on microeconomics and international trade. He earned his doctorate in 1957. 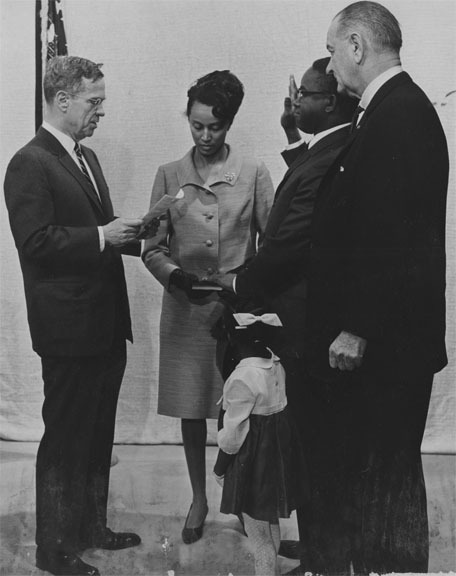 Brimmer began his public service career in 1950 as a summer intern at the US Foreign Aid Agency in Washington, DC, and later served as an economist in the research department of the Federal Reserve Bank of New York from 1955 to 1958. He became an assistant professor of economics and finance at Michigan State University in 1958. In 1961, he moved to the University of Pennsylvania’s Wharton School as an assistant professor. In 1963, President John F. Kennedy named Brimmer Deputy Assistant and then Assistant Secretary for Economic Affairs at the US Department of Commerce, where he served for three years until President Lyndon B. Johnson appointed him to the Federal Reserve’s Board of Governors. He remained in that position until 1974, when he joined the Harvard Business School faculty as the Thomas Henry Carroll Ford Foundation Visiting Professor from August 1974 to June 1976. Brimmer then went to Washington, DC, to found Brimmer & Company, a consulting firm specializing in economics and finance that provided advice to many private businesses, government agencies, and municipalities. While in the private sector, Brimmer continued to take on roles in the public sector, first as a member of the Commission on Fair Market Value Policy for Federal Coal Leasing in 1983 and then, following an appointment by President William J. Clinton, as chairman of the District of Columbia Financial Responsibility and Management Assistance Authority from 1995 to 1998. He returned to academia at the end of his career, holding the Wilmer D. Barrett Professorship in economics at the University of Massachusetts, Amherst, from 1997 to 2008. A member of numerous economic and professional organizations, during his long and distinguished career Brimmer wrote and published more than 100 articles and authored 10 books on topics ranging from general economics to international finance. He was the recipient of honorary degrees from 26 universities, including Harvard and Tuskegee. Brimmer was a director of many major companies, including Bank of America, BlackRock, DuPont, Equitable Life Assurance, Gannett, International Harvester, Navistar, and United Airlines. He also served the nonprofit sector on boards such as the Association for the Study of Afro-American Life and History, the Ford Foundation, the Leon H. Sullivan Foundation, Harvard University’s Board of Overseers, and Tuskegee University. From 1999 to 2012, he was the Principal Policy Advisor the Bermuda’s Ministry of Finance.